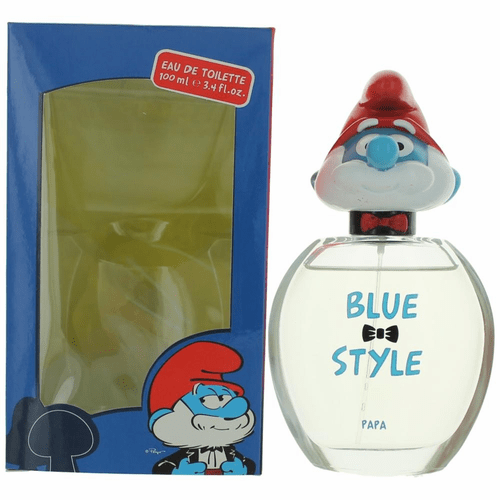 The Smurfs Blue Style is the 3D head fragrance collection designed with smurfing in mind. Top Notes: Mandarin Orange, Kumquat, Apple Blossom. Middle notes: Fressia, Star Magnolia, Iris. Bottom Note: Vanilla Musk.